WeedPro® Lawn Care offers a preventative treatment for grub control in early summer, just after they hatch. They are very susceptible to treatment at this time, just before they start causing extensive damage to your lawn. 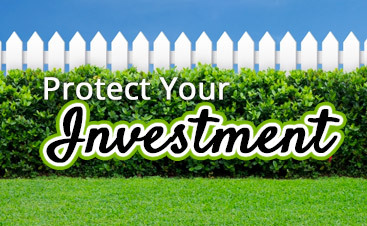 Preventative lawn treatments are most effective for your lawn and avoid costly repairs and insecticides in the future. We offer the best grub control for your lawn. Grubs are tiny insects that feed on the roots of your grass. In areas where grubs have caused extreme damage, the turf begins to brown and die, and the sod can be lifted up like a piece of carpet. To check for grubs, simply grab a handful of turf and tug; if grubs are there then the sod will most likely lift off. Grub damage can go unnoticed for weeks and even months on turf that is watered consistently. The grubs remain hidden under the sod and, the turf will appear healthy if continually watered. 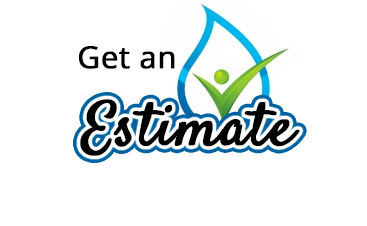 Yet while the damage may not appear quickly, it can completely devastate a lawn. The grubs that you see in the lawn are the larvae of Japanese beetles, June beetles, and chafers. These grubs are C-shaped, off-white in color with a dark head. They start the cycle by laying eggs from late June until early August in the thatch layer of your lawn. These eggs hatch in about two weeks and the tiny “baby grubs” grow quickly and begin eating their way through the thatch and into the soil. 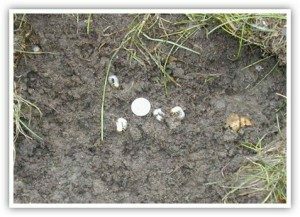 Grubs feed heavily through late summer and fall and create yellowing patches of sod in late August and September from their vigorous feeding on the water-stressed turf. 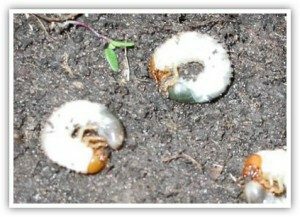 When soil temperatures begin to cool in October or November, the grubs stop feeding and move deeper into the soil, where they spend the winter. Come spring, they return to the root zone to feed until they “pupate” (or go into a cocoon), which is when they change into the adult beetles and start the cycle again. Grubs are not a serious threat until there are enough of them to form a damaging population. 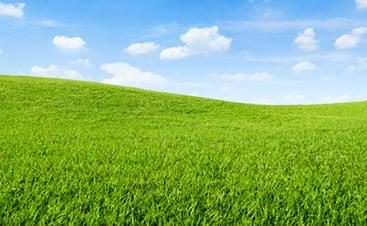 Healthy lawns can support a wide variety of insects without suffering noticeable damage. Grubs are not “damaging” until we find at least 6 to 8 per square foot. Once the damage becomes visible, it is too late for lawn grub control in most cases. Damaged white grub areas will not recover because the plant and root system are dead. Before making repairs, the grubs will have to be treated immediately or damage will continue. Fortunately, if you have a fescue lawn this is the time to aerate and overseed the grass. This will fill in bare spots and rejuvenate the lawn. If you have Bermuda or Zoysia grass, you will have to aerate the lawn in the spring to promote new growth and spread of the turf to fill in damaged areas. There are no repellents for Japanese Beetles. 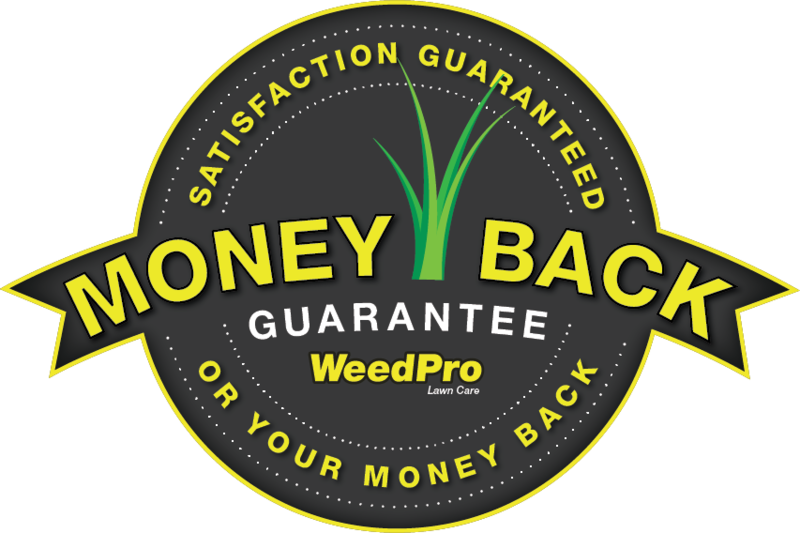 Our goal at WeedPro® Lawn Care is to minimize the damage caused during the summer with our Tree and Shrub program. If you have plant material on your landscape that is favored by beetles, you will see damage (Crepe Myrtles, Cherry trees, Purple Plum Trees or River Birches). The contact aspects of our products will control any beetle activity when we are there, and our products also have a residual that remains with your plants for any beetles that come to feed later. The beetles will take a few bites and then will either leave or die in most cases.